Pelvic girdle pain (PGP) is a common condition that causes pain and physical impairment, most frequently during the antepartum (before delivery) period. A new guideline for evidence-based physical therapy practice for PGP during pregnancy appears in the Journal of Women’s Health Physical Therapy, official (SOWH) of the American Physical Therapy Association. The journal is published by Wolters Kluwer. 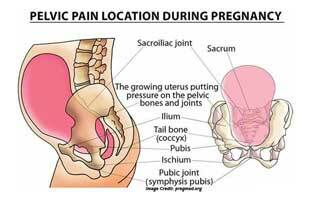 Pelvic girdle pain is estimated to occur in up to 70 percent of women sometime during pregnancy. Women with PGP develop pain in the pelvic region, which sometimes brings changes in posture, gait, and activity level. These symptoms can cause significant impairment in several areas of patients’ lives. Risk factors. Based on strong evidence, risk factors for the development of or more severe PGP include previous pregnancy, orthopedic dysfunction (such as hip and/or leg dysfunction), increased body mass index, and smoking. Risk is also higher for patients with work dissatisfaction and those who don’t believe that their condition will improve. The new document is part of the SOWH’s ongoing effort to create evidence-based practice guidelines for women’s health and orthopedic physical management of patients with musculoskeletal impairments described in the World Health Organization’s International Classification of Functioning, Disability, and Health (ICF). The full guideline is available on the Journal of Women’s Health Physical Therapy and the Section on Women’s Health websites.